The Merrow MG-3UN is a NEW emblem edging machine from Merrow that sews the smallest, tightest edge on patches, badges, and emblems. 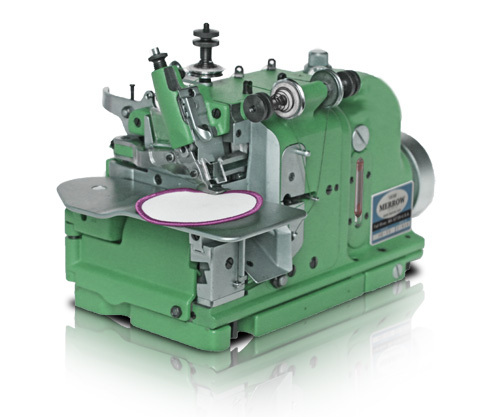 Ideal for smaller sized media, the MG-3UN offers a unique sewn edge only possible with the Merrow MG-3U platform of overlock machines. 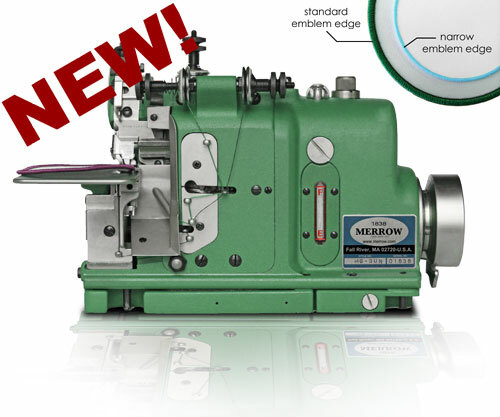 The NEW Merrow MG-3UN is a 3-THREAD industrial sewing machine that sews a unique Merrowed edge on smaller emblems and patches. 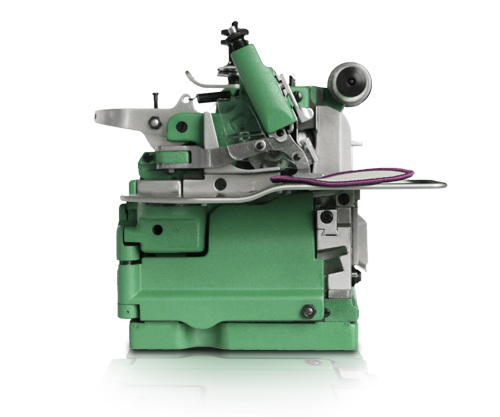 The MG-3UN is a specialized machine that takes full advantage of Merrow's tight machining tolerances to impart a diminutive overlock stitch worthy of the "Merrowed edge" moniker. 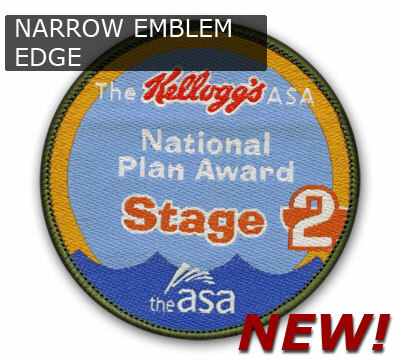 The Merrow Narrow Edge is the standard bearer for emblem edging on smaller patches, badges, and insignias. Noticeable for its finish and uniformity, the Merrow NARROW Emblem Edge is a distinctive mark of quality that can only be made with the Merrow MG-3UN. The MG-3UN is driven by the same specialized barrel cams that create the famous Merrow Purl stitch. Unique to Merrow, barrel cams produce the most precise overlock stitch possible, imparting an impossibly tight yet fully decorative emblem edge. The MG-3UN is a versatile industrial machine that will satisfy the needs of the local emblem shop to the factory producing thousands of patches per day. We will build out a custom machine, at no charge, and sew your material off on the MG-3UN (or other machine if appropriate). If you would like a video of the process we will provide this along with the sewn sample.